Get out the torches and pitchforks! Before our break, we heard from several Alert Janeites about a couple of articles in last Sunday’s Telegraph about the upcoming BBC adaptation of Emma, which we believe will begin broadcasting in the UK on October 4 (and which we cynically assume will be on YouTube shortly thereafter). 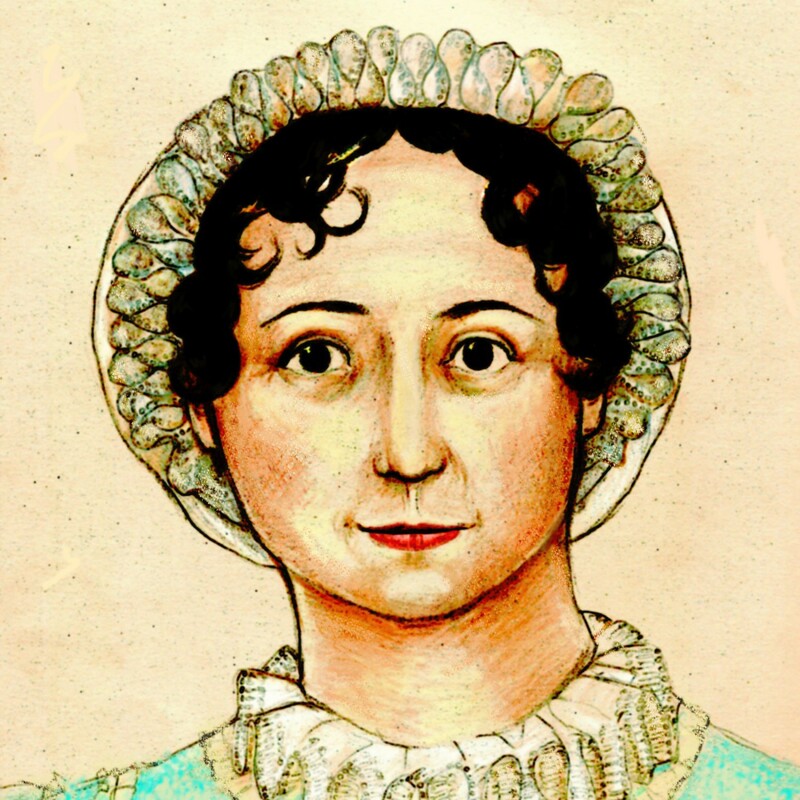 Firstly we hear from the BBC, which seems to be attempting either to draw in people tired of those stuffy old Jane Austen bonnet movies, or to disarm the reproof of Janeites hoping for a truly definitive adaptation. The drama will air on BBC One next month. Kate Harwood, controller of BBC serials, said: “Sometimes you put modern in a period drama and it feels wrong, but not in this case. It’s a beautiful adaptation that is very faithful to the book, but feels very fresh and immediate. The Telegraph, obviously salivating over the Janeite Wars Part Ad Nauseam, lined up an academic who doesn’t seem to have actually watched the bally thing to give a comment. It is also not the case that Austen’s characters are stuffy or dated. Minor characters like the hypochondriac Mr Woodhouse, the social-climber Mrs Elton and the talkative Miss Bates are as vivid and fresh today as they were when Austen envisaged them. Her heroines perhaps present greater challenges because they are less histrionic and spontaneous. In Sense and Sensibility, modern audiences had difficulty retaining Austen’s respect for emotional restraint in the Elinor character, played by Emma Thompson, and sympathy was therefore largely with Kate Winslet, the Marianne character. Young women nowadays are unlikely to share the aspirations of a Regency heroine and, although Jane Austen’s stories are timeless, some of the values are very different from modern ones and it is a good idea to reflect on those differences. Or maybe they’ve taken a page from the Andrew Davies (congrats on the Emmy, by the bye) playbook and get the Janeites all hot and bothered so we will all be SURE to watch! Oh, we’re so predictable, aren’t we? While I find Harwood’s comment annoying, I think she’s kinda far away from the immediate details of the production, so I’m not necessarily worried because of her comments. And I find Marianne irritating in any medium. As for pulling a Davies, (Hooray for 7 Little Dorrit Emmys!) I think it’s more than possible – I think it’s quite likely. However, after watching Welch’s 2006 Jane Eyre, I think I’ve decided to give up being skeptical and be excited again. If Welch can make me like a story based on a book I rather dislike, even when I can see the modernized and dumbed down dialogue bursting at the seams, I think I can deal with her Emma. Especially if it has Romola Garai. I’d be interested to know where they got that impression from. I don’t think I know anyone who has found Elinor a difficult character to understand or respect. All this talk of ‘fresh’, ‘modern’ etc does not bode well. What do they mean that the film concentrates on the Emma, Knightley romance??!! How? Are they adapting only the last few chapters of the book? *groan* again. Shall this ever be available for American audiences? I looked up the Masterpiece Classic schedule but saw that Emma was not included. Any news? It will be on Masterpiece in early 2010. But it looks so nice in the press photos ! Modern ? I couldn’t take another pop art JA film. BBC has conffirmed that the first episode premieres on Sunday 4th October at 21:00 GMT. PS – I forgot to add that I really beg that all of us are this time very discreet regarding the probable availability of this miniseries in alternate channels, do not post direct links, let us keep the information interchanging private messages. I’m definitely reserving judgement. People doing period drama adaptations use the term “modern” almost reflexively in an attempt to attract the right demographic; the irony is that it is so overused in that context that now it actually frightens them away! If the writing is good Austen’s characters remain what they already are in the novels: modern…and timeless. My favorite Austen adaptation is Clueless; it may have a “modern” setting, but it captures the spirit of Emma perfectly. I too loved Sandy Welch’s adaptation of Jane Eyre, so I’m hopeful she can do as good a job by Austen.